Melbourne-based DesignOffice gets the nod for best hospitality venue at the Australian Interior Design Awards. 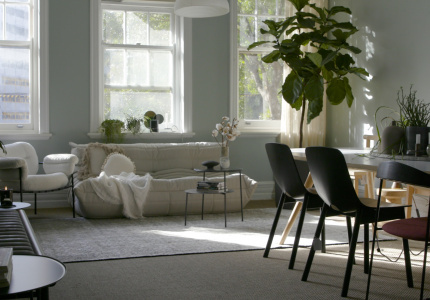 The annual Australian Interior Design Awards (AIDA), now in its 14th year, announced its 2017 winners on Saturday. 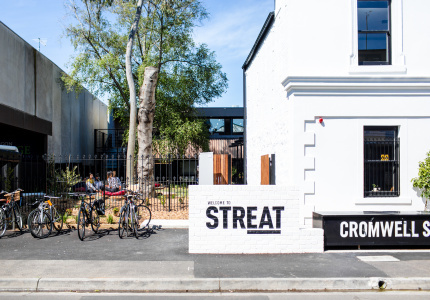 Melbourne studio DesignOffice took out the award for best hospitality design for Nathan Toleman’s CBD cafe Higher Ground. 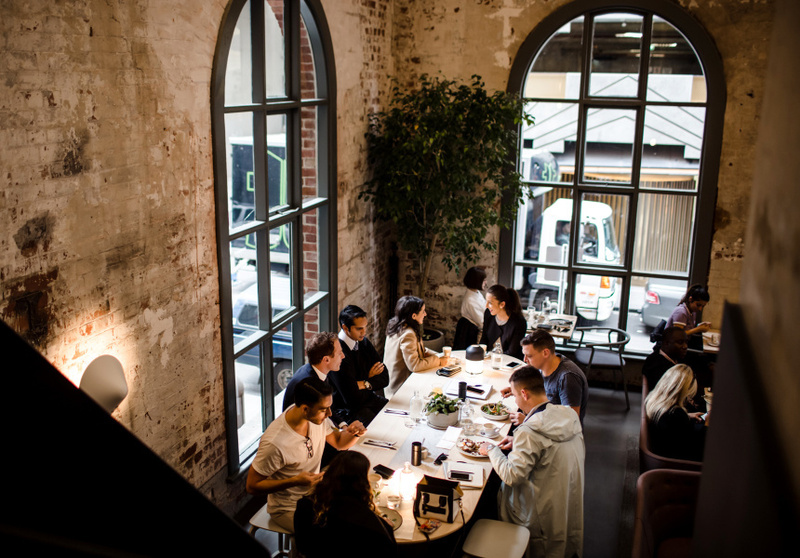 The split-level cafe that takes advantage of 15-metre-high ceilings in a former power station, with an L-shaped mezzanine that overlooks the ground floor, has already won numerous design accolades. 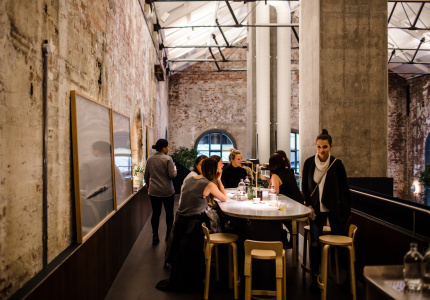 In March, AIDA announced the shortlist for best hospitality design, which apart from Higher Ground included other Melbourne venues Sake Restaurant & Bar on Flinders Lane (Melissa Collison Design), Cromwell STREAT in Collingwood (Six Degrees Architects), and Moby in Armadale (We Are Huntly). 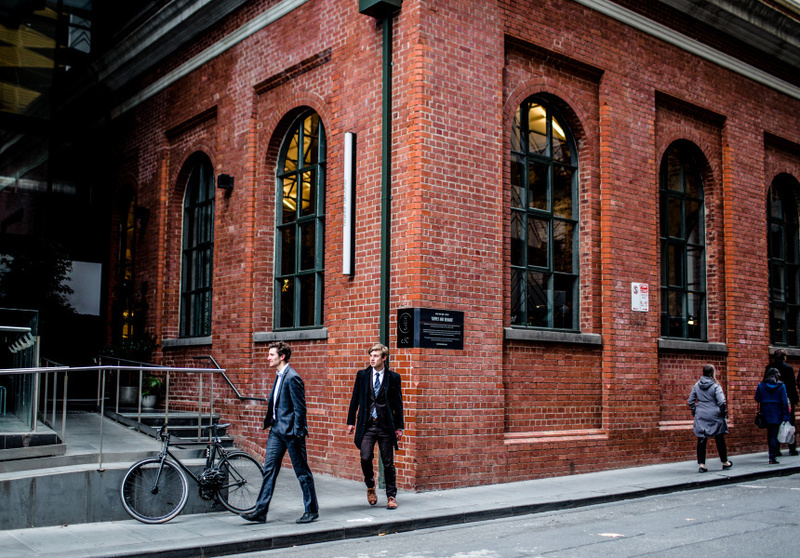 The judges praised DesignOffice for "redefining of the typical cafe typology into a high-end hospitality venue, more akin to a hotel lobby than a casual eatery" and for “setting a high benchmark in advocating for good design in the hospitality sector, especially in a market as notoriously competitive as Melbourne’s”. 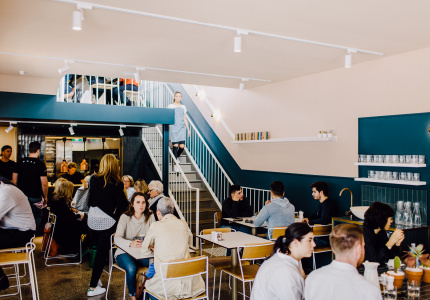 For Damien Mulvihill and Mark Simpson, who lead the team at DesignOffice, challenging pre-conceived notions of what a cafe should look and feel like is common practice. 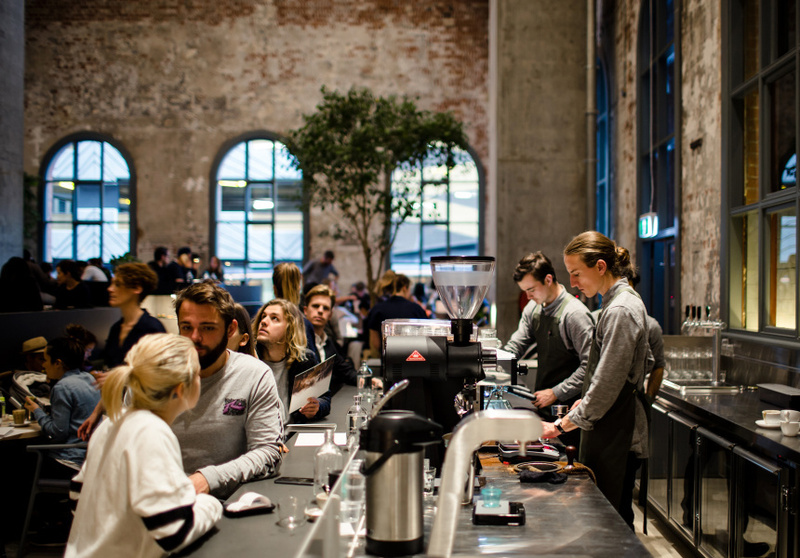 Their Danish-influenced space for Filter coffee in the CBD, for example, challenged traditional positioning of the counter and the way people approach it. 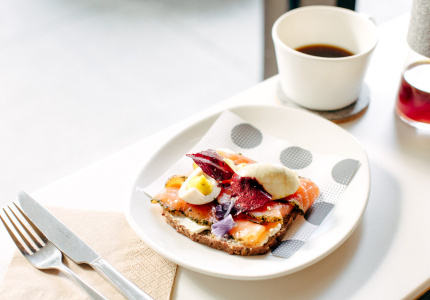 Other projects outside of hospitality include ceramics brand Mud's stores in Melbourne, Sydney and New York. In the fit-out for Higher Ground, DesignOffice conceived a space where diners experience a different perspective and mood each time they visit due a tiered interior that provides "both intimacy and layered perspective". Existing concrete forms were left deliberately exposed to play on the venue's original industrial purpose. 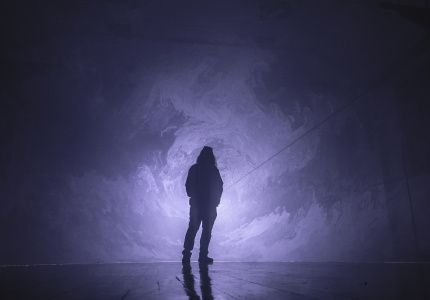 The awards jury said the studio "managed to solve practical challenges while safeguarding the expression of, and respect for the original space".